Local Wine & Liquor Delivery Available! Limited zip codes available (see below) - Order before 2:00 PM for delivery in a day or two. It depends on how far away you are from the store. Orders $499 and over are delivered for free! Order 4 or more Ship 4 Free bottles and we'll deliver your entire order for free! Order 12 or more Ship 12 Free eligible bottles and we'll deliver your entire order for free! Our express delivery service is available up to 50 miles around the store - Order before 2:00 PM for same day delivery! This long distance express service is available between 50-160 miles around the store - Order before 2:00pm for next business day delivery. Fee calculated during checkout. Approximately $1.50 per mile from Empire Wine. 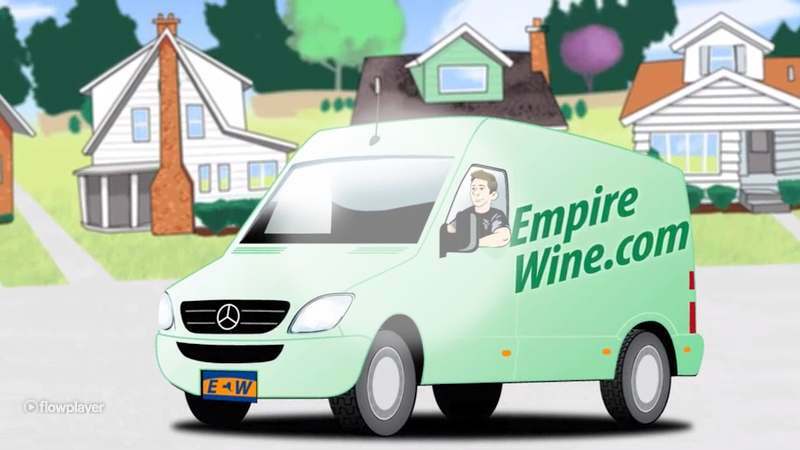 Wine only can be shipped via common carrier within the continental U.S.